Virtual golf takes place indoors, where you use your own clubs to hit a golf ball into a simulator that projects one of 22 different PGA courses. The course of your choice is projected onto a screen. 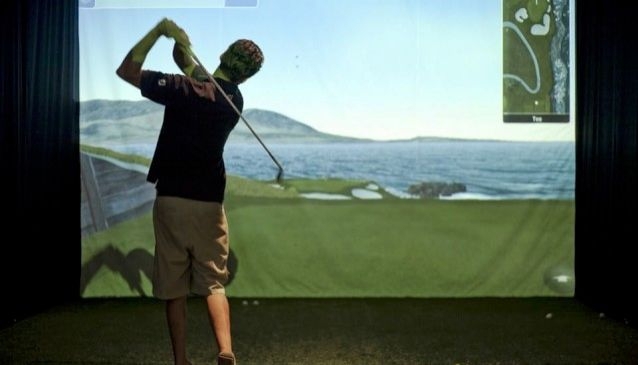 Tee Up is Bali's only Golf Simulator venue complete with state of the art equipment and clubs. Excellent for indoor practice, games, and driving range.